Enterprise Resource Planning System (EPR system) is an integral system that has been programmed according to the best world commercial applications. Imagine a new generation of the “electronic businesses” collection that offer integral management for businesses. Test Such advantage with EPR system, which is a business information management system that manage the business processes in the field of “Enterprise Resource Planning”, public relations, documents, communications, workflow. financing, logistic services and processes, cost accounting, human resources, salary system, and the electronic commerce activities. 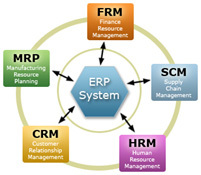 The EPR system also determines and automates the main transactions of business and manages the personnel and enterprises performance by managing the workflow and applying the proactive management using the dynamic alert, in addition to making gradual advance with a collection of application customization tools. 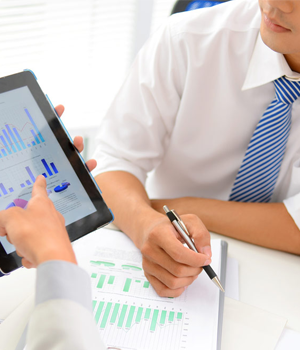 In addition, this system puts the goals of the enterprise, indicates an integral view about the customers, suppliers, employees, service/product profit, determines the main performance indicators, and utilizes the documented information for making the accurate operational, commercial, and strategic reports and for making the thoughtful decisions.